As I write this, Maryland is getting inundated by a particularly soaking nor'easter. As a seasoned Floridian, I am not afraid of a ton of wet, nasty weather. However, in anticipation of a weekend largely spent indoors, I have to rely on my stash of food stocked up in my dorm, because I do not have the heart to brave the storm to check out a restaurant. 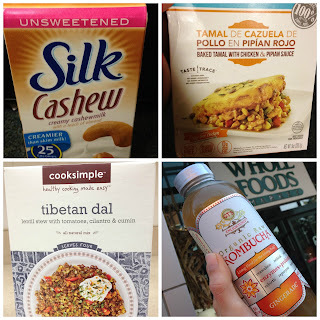 Luckily, the four products featured this month definitely help break up the monotony of my dorm diet, and are welcome new additions to my repertoire. From an easy-to-make stove top meal to a komboucha that totally turned me on to the fermented beverage, there's a lot to love about each of the featured products. 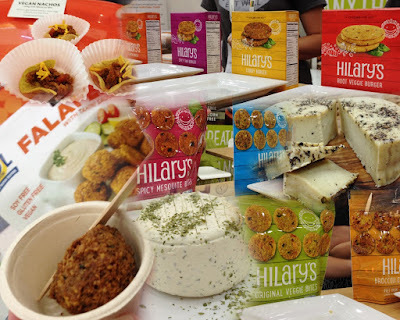 Now that I've covered sweets, snacks, and vegan meats and cheeses, my next to last Expo East recap tackles the meals, and meal components I found along the way. From mac and cheese to mess-free gazpacho, this recap certainly holds some of my favorite products I found on the show floor. 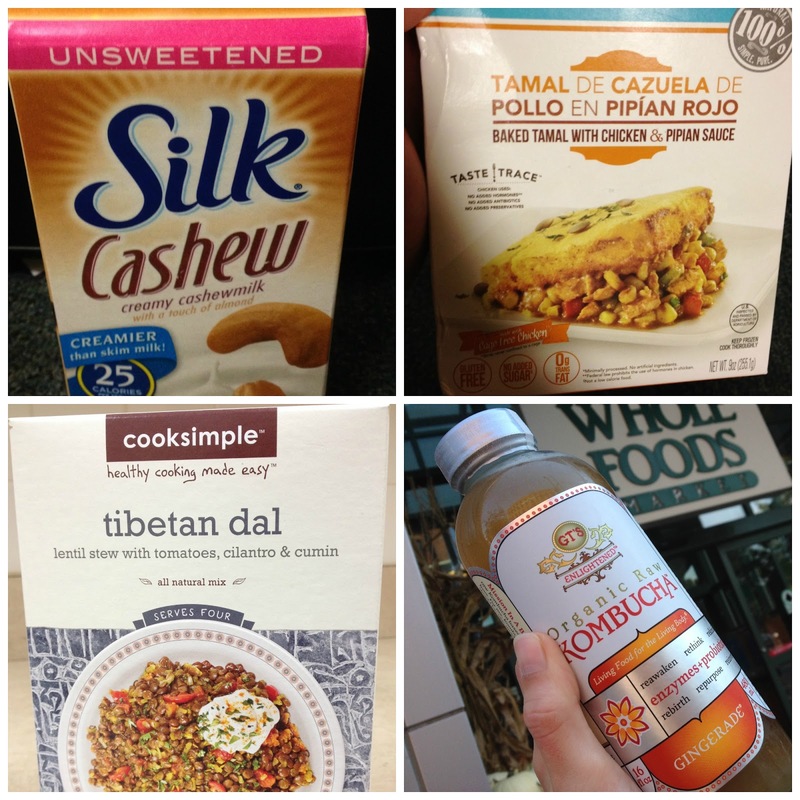 The four featured products are definitely ones that make my life easier as a college student who must cook for herself for every meal, and certainly prove that gluten-free eating doesn't have to be a compromise. 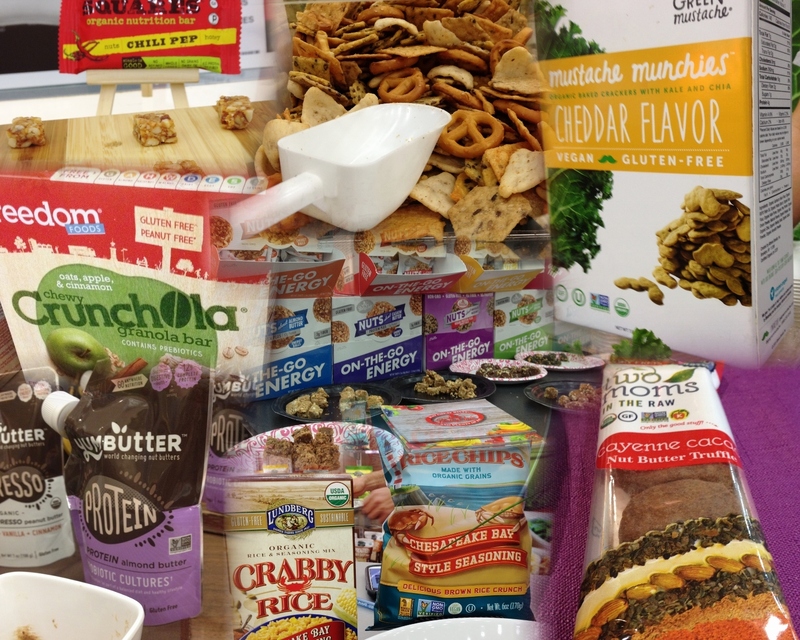 Having already reviewed sweets, I naturally turn to snack foods, which this year brought a lot of exciting finds, most of them from new-to-me companies. In this recap, I'm dishing up all about bars, chips, and nut-based snack foods that will certainly be a welcome addition to my collegiate diet, which is often lacking in fun snack foods. Perfect for kids of all ages, the snack selection featured ranges from kid-friendly munchies to more sophisticated offerings, and even includes an Old Bay-infused product that totally rocked my world as a proud semi-Marylander. If there's one sure thing about any gluten-free event or expo, it's that there will definitely be tons of sweets to sample. Expo East this year lived up to this gluten-free fact in grandiose fashion, as I was able to encounter plenty of sweets in all shapes and sizes. 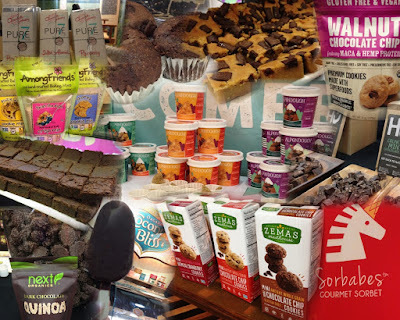 From chocolates and cookies to sorbet and ice cream, I encountered a plethora of products from companies both familiar and new-to-me. 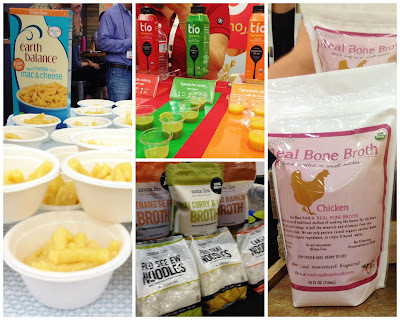 I was impressed by the way each product that makes this round-up was able to stand out it its own way, distancing itself from the pack of gluten-free goodies already flooding the market. Without further ado, let's delve into the deliciously sweet surprises found on the show floor! What a weekend it was. For me, Christmas comes once a year to Baltimore, and it's not that December holiday you're thinking of. No, it's the Natural Products Expo East, which graces Baltimore every September, bringing three full days of marathon sampling, meeting foodie friends, and searching for the diamonds in the rough among the thousands of natural products vendors assembled. 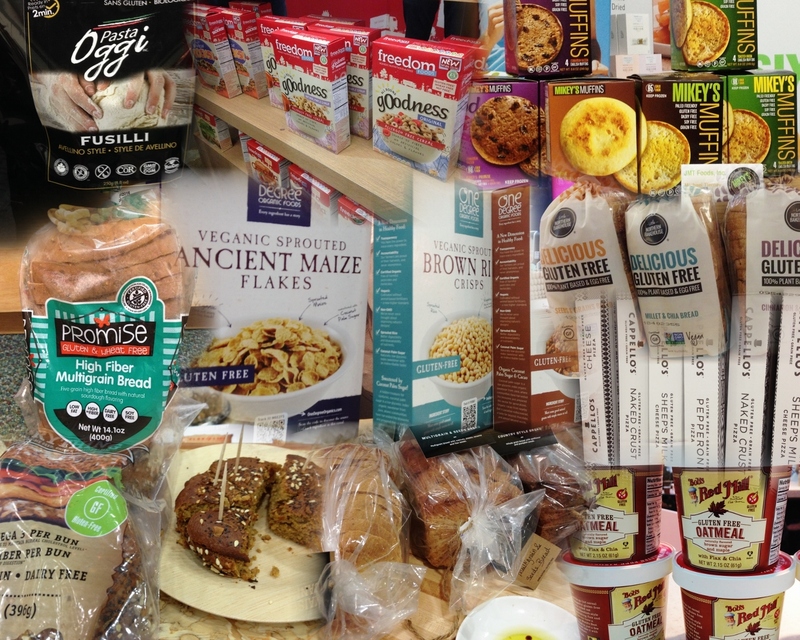 Expo East is in a league all its own among gluten-free events, as it is less of a gluten-free community event than an annual gathering for food industry professionals. As such, the vibe is really cool because the vendors I got to know on the show floor were also seen by retail buyers, distributors, and others who make it possible for new products to find their way to store shelves near you and me. Although my recap review posts and annual best-of list are still in the works (stay tuned), my excitement for everything I've seen and sampled lead to this post, which will be a good one to bookmark, as I'll link each recap to it, and it'll also be the place where you can enter my giveaway for a swag bag fresh from the show floor! Recently, my reviews have been geared more to the product side, as my restaurant visits have been few and far between as school has started up. While I've missed getting out to explore Baltimore neighborhoods, I have found many intriguing products that have brought welcome change to my diet, forcing me to get out of my dietary comfort zone. Go Macro's macrobars are one such product that I have discovered in my quest to find on-the-go options that will power me through the day. The thoughtfully curated ingredients used to make the bars are chosen to align with the macrobiotic diet, which in short promotes a balanced, organic, plant-based diet to achieve a balance that emphasizes focus on the food we use to fuel our bodies. I often dabble in the paleo diet, because I like the focus on unrefined ingredients and increasing protein while minimizing sugar. While I am by no means a devoted follower of the diet (I admittedly love carbs too much), I'm always looking for ways to make cooking and baking paleo part of my busy lifestyle. I was excited to find Beetnik Foods' line of frozen entrees while perusing my local Mom's Organic Market last week, which seemed to fit the bill perfectly. These paleo-friendly, microwave-friendly entrees use real, organic ingredients to make gourmet meals easy to make and accessible for both paleo devotees and aspiring foodies. Although I'm new to the fan club, my love affair with Indian food has inspired me to start incorporating more of the cuisine's signature spiciness into my diet. On a recent visit to Whole Foods in Mt. Washington, I was ecstatic to find Cafe Spice's prepared entrees in the refrigerated section, and even more excited to see that they all were gluten-free. Although I like cooking, I certainly do not want to have to pull out pots and pans for every meal. Cafe Spice proved that I can achieve restaurant-quality food without the mess or the bill! If you have followed my blog over the last month, you've probably picked up on the fact that I have been trying out Enjoy Life Foods' new gluten-free, vegan, allergen-free baking mixes. Last, but not least of the four baking mixes, is the muffin mix, which arguably is the most versatile of the pre-mixed baking mixes. As a busy college student with 8 AM classes, I often have no time to prepare breakfast in the dorm kitchen, as I have to get out the door at least 30 minutes before class begins. Muffins are the perfect way to start the day, giving me healthy carbs, protein, and probiotics, all without requiring utensils or dirtying dishes. While I have discovered and enjoyed many gluten and dairy-free bakeries, baking mixes, and other sweets in my career as a food intolerant blogger, I have yet enjoy the luxurious experience of going to a gourmet chocolate shop and being able to select custom crafted creations that are safe for me to eat. Luckily, this review breaks the gourmet chocolate drought for me, because Pure Chocolate by Jinji is the answer to my gluten-free, dairy-free chocolate loving prayers. Based in Baltimore's Belvedere Square Market and with retail locations around the area, Jinji is a chocolate purveyor like none other. Gluten-free bakeries are an oasis for us gluten-free folks where we can once again revel in window shopping fresh baked goods that are actually safe to eat. Here in Baltimore, I have been spoiled by several excellent local bakeries, but was really excited to welcome Harmony Bakery as the area's newest bakery. While not new to me, as I have been a patron of Harmony Bakery at the Saturday morning Waverly Street Farmers' Market, I was ecstatic to learn of the opening their new Hampden brick and mortar location last spring. Unfortunately, I was not able to make it out there before the semester ended, but definitely placed the bakery high on my must-do list for the current semester. A recent visit from my mom proved to be the perfect opportunity to check it out, as she loves exploring around the city's locally owned restaurants as much as I do. Atwater's Bakery and Cafe is a Baltimore based farm-to-table restaurant that offers a daily selection of the freshest foods for its patrons to enjoy. After their made in house gluten-free bread got on my radar thanks to a City Paper article (see that here), I knew I wanted to check out this truly local establishment. With locations across the city, I set my sights on the Belvedere Market location, as it's very easy for me to access, and allows me to peruse the other local-focused vendors that call the market home. I planned my visit to coincide with my mom's recent visit, to allow us to share a nice meal and get off campus for awhile.